Each Builder Hall level adds new defenses that are designed to separate it from those that come before and these defenses also counter very specific attacks. Remember: the troops and their levels at any given BHx are designed to be able to beat a maxed out base at that particular BH level, so the defenses have to be adjusted to make it a bit more difficult to win or there’s no challenge to the game. BH3 is the first time a key defense is provided in the game (so it doesn’t take long). For the first three levels, and about the first half of BH4, the ground game reigns supreme. Sure, you get Beta Minions at BH3 and Baby Dragons at BH4, but they’re not very strong until you get them maxed at BH4, so most players are going to be using ground troops for the vast majority of their attacks. That’s where the Crusher comes into play and you get your first Crusher at BH3. The FireCrackers make their debut here too and that’s why Beta Minions just aren’t strong enough to have much impact at BH3 (that and the limited number per camp). As if that isn’t enough, you also get your very first Hidden Tesla which targets both air and ground. BH3 is all about setting you up for BH4…. BH4 brings those stronger air troops I mentioned, so now it’s time to beef up the air defenses a bit more. The big-bad for BH4 is the AirBombs. These can take down a group of Beta Minions or a Baby Dragon in no time and they do splash damage, so they’re particularly deadly against any air attack. What’s more, since you’re at BH4, that means you can take it up to level 4. Combined with the FireCrackers, the air defense has become much stronger. BH5 improves on the air defense by providing a second FireCracker. Of course, all of your defenses get another level added as well. The biggest contributor to defense here, though, is the MultiMortar. A level 5 MultiMortar will stop ground attacks in their tracks. Attackers must take this into account and work around it, rely on air troops, or find a way to distract the MultiMortar until they can take it out. BH6 adds a bump to all of these defenses and brings in a second Crusher as well as the Roaster. The second Crusher makes ground attacks much more difficult, but the Roaster…once it has been sufficiently upgraded, it is almost as devastating to air attacks as the AirBombs. It has a wider spread, does significant damage, and targets both ground AND air troops. Also, a level 6 MultiMortar is capable of taking out a level 12 Sneaky Archer in a single, fired volley. That’s important because the Mass Sneaky Archer attack really takes off at BH6. BH7 gives us the Giant Cannon and a second Hidden Tesla. The Giant Cannon specifically nullifies the impact of the Battle Machine. Although Double Cannons will do significant damage against him, nothing takes a Battle Machine out faster than the Giant Cannon and it can do it from a fair distance. And, of course, BH8 brings on the Mega Tesla, which we’re all still waiting to get at the time of this article/video. When BH7 was released, we were originally expecting to get a third Cannon and a second Guard Post. In an example of just how powerful defensive capabilities are to this game, when SuperCell decided to hold those back, they set up an offense-centric level at BH7 that has a lot of folks vexed. Defense has become much more challenging without these two structures. Players often call for a “nerf” to a particular troop at new BH levels because that troop is too strong; it’s “OP” or OverPowered. The reality is that it was designed for a much stronger defense and it’s up to the player to get his/her defense to a point where it can defend well against that particular troop or hybrid army compositions using it. This is why it’s important to balance your progress in the game, offensively and defensively, to ensure an even experience. It’s also important to keep an eye on the meta - how the game is playing - at any given time. I have an upgrade guide out for each and every BH level that I release at some point after the level is available. It’s the path I followed and/or will follow to upgrade my game, troops and defenses alike. It’s a living thing, though - I change it as the meta changes. A fellow forumer recently told me, “you can’t chase the meta” but for me, that’s just part of the fun. For example - I decided to start BH7 upgrading my air defenses as I do at every level starting with BH4. However, I quickly realized that there was a unique opportunity to get some of the bigger defenses upgraded (MultiMortar, Roaster) early on, while players were still coming to grips with the stronger troops. So, I switched it up and upgraded my multiMortar to level 7, followed by my Roaster. The meta shifted to air attacks at that point, so I decided to finish up my FireCrackers but then it started to change daily so rather than doing my AirBombs next, I pushed the Hidden Teslas up (they attack both air and ground). My AirBombs are about to finish and whereas I was going to start working on my point defenses (Archer Towers, Cannons, Double Cannons, Giant Cannon) I think I’m going to do another biggie and upgrade the Crushers instead. I ALWAYS put the Crushers off to the end but this time around, I want to strengthen the ground defenses and they get a decent bump in HP as well as DPS, especially important with their trigger range being recently reduced. This is why it’s important to be flexible in how you develop your defensive capabilities. If you can predict what’s coming, or how long something will be a “thing” (like Raged Barbarian hybrid army compositions) you will be in a much better position. It’s playing a mix of the long and short game. The toughest thing to decide upon when it comes to defensive capabilities is when to upgrade your walls. This is proving to be an issue for a lot of players dealing with Bombarian and similar ground strategies at BH7. Most of us have upgraded our games at the expense of the walls because…well…walls are REALLY expensive! You can go all the way to BH7 with level 1 walls and even get into the 3000 trophy range with them. Are you going to make it to the 4000 trophy range with level 1 walls…probably not. Consider your opponents right now - how many are running level 4 walls or higher? Check out the attack/defense replays on my videos. I see mostly level 3 or higher walls in the 3000s, a smattering of level 3 in the lower 4000s, and mostly level 4 or higher walls up to 5000. In the 5000s, level 5 walls take over and by the time you start to reaching the upper ranks of the game, you see level 6 and 7 walls. So…when is the best time to slot in the wall upgrades? BH3 - Upgrade everything to level 3, including the walls. BH4 - Upgrade new walls to level 3. BH5 - Upgrade new walls to level 3. BH6 - Upgrade new and existing walls to level 4. BH7/BH8 - Start upgrading walls to level 5 and beyond. 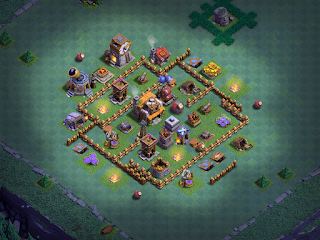 Walls are still secondary to your defense buildings, but they’re definitely important to later BH levels and being able to defend against the max-level troops to come. This is something anyone with level 2 or 3 walls can attest to right now with the level 14 Raged Barbarian based attack strategies tearing up the lower level player base. Based on my games, BH7 is best started with nothing less than level 3 walls, preferably level 4 walls. This is because the level 14 Bomber can one-shot any wall, level 3 or lower. There’s a real debate, though, as to what wall level should represent the minimum level at late BH7 into BH8. Since the L16 Bomber will still need two shots (after the Big Bomb ability) for level 4 or higher walls, it’s not necessary to upgrade to level 5 walls to defend against this troop. However, the entire suite of ground attack strategies will strengthen at BH8 and we get the new Super P.E.K.K.A. as well. For this reason, I’ve decided to take my own walls to level 5 by early BH8. That brings us the final pillar - base design. You have your defensive capabilities but now you need to figure out what to do with them and that’s all in the layout. In my BH Base Building 101 guide, I gave a bunch of tips for base design. They still hold true at BH7, although there are a few things that need to be updated to reflect the new levels and structures. So…this section is basically already written for us. Never place a structure somewhere that it's just a giveaway (Like the corner of the game grid); at the very least, use it as a distraction or to draw troops in a certain direction. Avoid placing defenses of the same type together; overlap range, but separate them...they do not really double up damage against most attacks. Think about how YOU would attack your base then tighten it up. Avoid dense, tight bases but don't spread out so far you lose overlapping zones. Don't be obvious - lots of base designs put an air Mine right next to the AirBombs...just say no! If you use someone else's design, be sure to move mines/traps around. It's a good idea to do this periodically just to freshen things up. Establish a path for your opponent; lure his eye (and troops) to begin where you want so you can control the pathing. For example - bases like the southern teaser openly invite the enemy to launch his attack there; combined with some discouraging design at the top, and he might just give it a try. Traps should change depending upon what kinds of attacks you're seeing; lots of ground attacks, set the mines to ground...more air attacks, set them to air. Design to the current meta for your levels; for example early BH5 is dominated by ground, late BH5 by air. Each troop has a weakness - SA...3 Tiles; BM loves the Crusher and the FCs, DCs rip him up and the GC takes a huge chunk out of him; RB...Crusher; NWs...mines and MM; Beta Minions...AirBombs and Roaster. Level 7 MM can take out SA of any level in one volley. No base covers every attack strategy. Air defenses on the perimeter are easily destroyed; put a few buildings between them and the outer layer of the base and they will mercilessly destroy enemy air troops from afar. Separate air defenses around the core. This one speaks for itself - spread the defenses out a bit. Some players like to put all of a defensive type right next together and while that may provide a last stand design, it’s not good for general defense. Place AirBombs behind and adjacent to BH, preferably on side opposite most likely approach vector. Centralization and distance - AirBombs that are directly adjacent to the BH will fire on any air troops that are in range of firing on the BH. Too often, players place their AirBombs 2, 3, or more tiles away from the BH which opens it to attack by Beta Minions. Place Roaster and AirBombs on opposite sides of BH. The Roaster and AirBombs offer a solid, air troop targeting defensive shield. Many players place them side-by-side which actually makes them easier to take out for mass units like Beta Minions and the Night Witch’s Bats (who are good for distracting these two defensive structures). Separate them and you get a much more solid coverage area with less collateral damage. Use high HP structures outside of core but within reach of FCs to slow down Minions. Beta minions are tough to beat back BUT, if you give them something to chew on for a while, the air targeting defenses will whittle away at their number until they are ineffective. Try to put a MegaMine set to air in the north or south apex of your base. Most air attacks, including Night Witch attacks with their bats, start at the northern or southern apex of a base. That makes this the ideal place to drop a MegaMine set to air. (Caveat: If the meta favors ground attacks, you’ll probably need to set these to ground). The Battle Machine has a known affinity for FireCrackers and likes to stand in front of Crushers while pounding on other things, so why not take advantage of it? Put Guard Post within range of and behind Crusher to distract BM while Crusher pounds it to dust. Did I mention that the Battle Machine is easily distracted? The Guard Post troops will pull him off whatever he’s doing and he’ll focus on hammering them. The DCs are rough on the BM. Properly positioned, they can take the BM down in no time at all. The new Giant Cannon (GC) does marked damage against the Battle Machine. Place this unit as close to the center of the base as possible, with higher HP targets nearby to prevent it from being easily taken down. Use pathing of defense structures to draw Giants into Crushers. Giants target defensive structures before anything else. Set your defenses up such that the Giant will walk from one, to another, to another…until you have them right in front of a Crusher. If you can get them in range of the Crusher while they beat on another defense, that’s even better. A closed, box base uses walls to block troops from entering. This will slow them down but, eventually, they’ll break through. Make sure you have defenses that can target beyond the walls to take a few out while they make entry. Likewise, walls are great for pathing troops. There are many open base designs that have no closed compartments at all; the walls are strictly used to direct troops to easy targets. Multiple compartments slow ground troops. Along the same lines of walls blocking - multiple compartments will slow ground troops as they go from one to the other to the other. Meanwhile, your defenses pick them off, just a few at a time, until they’re ineffective. Push Traps that point to the Crushers; one to another to the Crusher; Spring straps around corners. Push Traps are great for launching one or more enemy troops right at the Crusher. You can also point one trap to another trap that points to the Crusher. Place high HP structures in front of defensive structures. If you can get the enemy to beat on a high HP structure while a defensive structure sitting right behind it is beating on his troops, you’ve won the battle. Set ground targeting defenses so they can reach the outer perimeter of the base from as central a point as possible. You want junk buildings all around your defensive structures, but you need to make sure those structures can still reach troops attacking those buildings. It’s important to understand that your base design can be really very good but if your defensive capabilities are low (meaning low level defensive structures) you will still lose battles. Keep heart - as your defensive levels improve, a good base design will do its job much more effectively.